Aging water infrastructure is one of our nation’s top priorities, according to the EPA. With over 800,000 miles of piping and infrastructure leaking over 7 billion gallons of treated water daily, this priority creates an enormous opportunity for any company able to address and fix the problems that age brings on – mainly leaks and over 240,000 water main breaks every year. According to the EPA, this is a $384 billion maintenance burden over the next 20 years in regards to drinking water alone. That is a fairly big problem and big market to go after. And CitiLogics, the Cincinnati software and services startup is not only going after it in a big way, but it is leading the government, municipalities, and other players focused on improving this infrastructure. Founded by environmental engineers, Jim Uber, Stu Hooper, and Sam Hatchett, Cincinnati startup CitiLogics worked with the EPA to develop software (EPANET-RTX) that allows water districts to integrate raw operations data into the infrastructure planning models. Prior to this, the physical infrastructure (pipes, tanks, treatment facilitates) were separate from the operational components, creating a huge and insurmountable knowledge gap between what was in the ground and what was happening to the water running through it. Without EPANET-RTX, municipalities literally have to guess, based on what limited historical information is available on the infrastructure, along with actual physical observation, in order to try to fix leak and breaks. This leads to repair crews digging up much more pipe and earth than needed as well as being delayed in fixing any water main breaks. Now CitiLogics is working on various software modules that integrate with EPANET-RTX to create powerful tools for water providers – tools based on data analytics, scenario planning, and predictive modeling that could all be used to better predict, respond to, and avoid water loss. Recently, the National Science Foundation (NSF) awarded CitiLogics with a $150,000 Small Business Innovation Research grant, which the founders will use to further develop a commercial prototype of their Polaris product. Polaris predicts how water quality changes as it travels between the treatment facility and the consumer. Working with local water providers such as Greater Cincinnati Water Works and the Northern Kentucky Water District, CitiLogics is already bringing in revenue. Combining revenue with its grant money, the company has over $800,000 in funding so far. It can apply for a $750,000 NSF grant later this year. Considering that demand for water is only increasing both in the US and across the globe, developing tools that fix problems and cultivate greater volumes of clean water is literally a billion dollar effort and one heck of a social, political, and economic innovation. 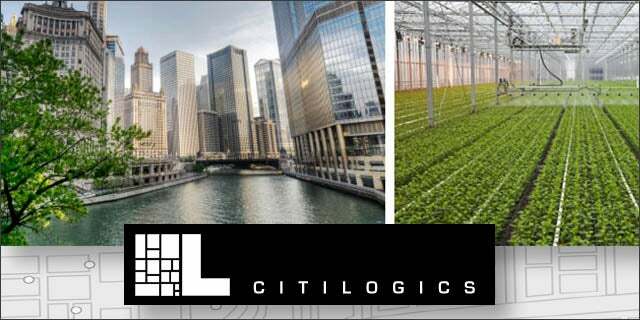 CitiLogics is poised to help stem water loss, improve water quality, and save billions of dollars for water providers – a truly remarkable and innovative effort.